Just thought I would throw this one out there, I have been searching on the NZ customs site, but I have not been able to find anything yet - does anyone know what customs duties and rates etc are charged for importing IT hardware from the US? There is no additional duty on computer goods other than GST. You might not even need to pay GST either, if the value of tax payable is less than $60. Note that GST is calculated on the price of the goods plus the cost of the freight. if you are buying that cost over NZ$350 you'll probably end up having to pay the GST charges to customs or they wont release your goods. I have imported stuff of value up to about NZ$500 and haven't been pinged for any extra charges yet. I haven't been able to find anyting in the commercial section regarding this though, anyone know of any reputable freight agents? 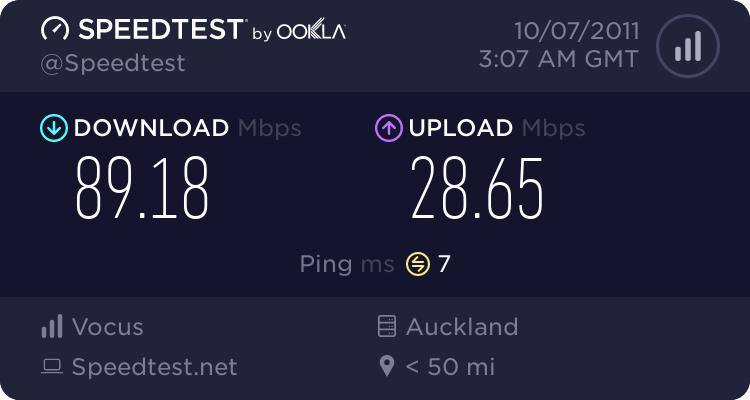 allstarnz: I have imported stuff of value up to about NZ$500 and haven't been pinged for any extra charges yet. The smaller overages get through more often - probably depending on import volumes. Low vloume day / week....ping smaller amounts....higher volume day / week.,....ping the larger amounts. Or maybe some days "CBF" applies. But they can and do ping people right down to the informally acknowledged threshold. People may also find new charges, aside from GST, for Bio-security and paper-handling. zimbonz: Thanks for the replies. The major couriers have been 100% reliable (DHL / Fedex), But may appear expensive....though on a $10K item the shipping may be just a small fraction depending on how large the item is. If the items are physically large you'd probably want to send via ship and in some volume....?? But if they are small, then air frieght is as good any anything...and lets you employ a "just-too-late" (tm) ordering regime: "It will be here end of next week." Linuxluver: But they can and do ping people right down to the informally acknowledged threshold. Huh? Are you talking about the $50/$60 limit they mention on their website? I've done one-off imports of large items - like 80KG SAN equipment - off of eBay in the US and have used Garry at Sneddens to handle the freight and customs. The prices were better than the DHLs etc (even though they actually used DHL or other carriers at the US end). Everything organised via email. When equipment is landed i get a call from customs to pay the GST by credit card, The equipment arrives at my door next day. Then the bill from Sneddens via email which is paid by bank transfer. Sneddens is available here: http://www.sneddens.co.nz/ and you can find Garrys email address on the contact us page. Just a quick question, when you pay the GST who do you claim it back against??? Customs? Thanks Regs, I will get hold of Garry, sounds like a good contact. I am looking at importing the same things basically SAN's and some specialised servers. Zeon: Just a quick question, when you pay the GST who do you claim it back against??? Customs? No, you claim your GST from the IRD as per normal. Customs pay the GST they claim to the IRD, you claim it back and charge it on to your customers. (I'm not an accountant, please do check with yours if you're not sure).